Calling all Ice Age fans! Ice Age: Continental drift is coming to theaters on July 13th! Just leave a comment below to win a prize package!! In Ice Age 4: Continental Drift, Scrat's nutty pursuit of the cursed acorn, which he's been after since the dawn of time, has world-changing consequences-a continental cataclysm that triggers the greatest adventure of all for Many, Diego and Sid. In the wake of these upheavals, Sid reunites with his cantankerous Granny, and the herd encounters a ragtag menagerie of seafaring pirates determined to stop them from returning home. The film features the voice talents of Ray Romano, Denis Leary, John Leguizamo, Wanda Sykes, Queen Latifah, Seann William Scott, Josh Peck, Joy Behar, Drake, Keke Palmer, Chris Wedge, Alain Chabat, Rebel Wilson, Nick Frost, Aziz Ansari, Peter Kinklage, Jennifer Lopez. Check out these great book from Harper Collins! We just love to read a book before viewing a movie! This gives my kiddos a little information about the movie and creates some excitement as well! We are proud to be offering the following giveaway! Comment below for a chance to win an Ice Age: Continental Drift prize package. One lucky winner will be selected by Betterwithabook.com. US residents only. 2. 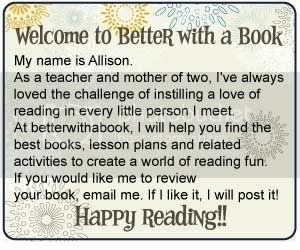 You can also Like Betterwithabook on Facebook and leave a comment telling me you liked our page. 4. Daily comments allowed for additional entries. Good luck! Disclosure: Thanks to Ice Age: Continental Drift and Harper Collins for providing this prize package for us! All thoughts and opinions are my own. We love Ice Age and Better with a Book!!!! Can't wait to see Ice Age! Thanks for the preview and all of your great book reccomendations! My son loved all the previous Ice Age movies. Thanks for the opportunity to win a fun prize package. Can't wait to see the new movie! What a great contest. Good luck to all! Great prize - we love books that tie into movies! I would love to win this for my bfs son! I would love to win this for my granddaughters!! I just love betterwuthabook.com!!! I have seen all of the Ice Age movies and I'm planning on seeing this one , I can dream about being in a nice cool place. Liked Better With A Book on Facebook. Hey everyone, here's another great summertime sweepstakes I stumbled upon! Some great prizes up for grabs in Vegas, so please help to spread the word and share. http://on.fb.me/LKKCxm Good luck to everyone! My son loves the Ice Age movies. Can't wait to see this with my granddaughter! My kids are huge fans of these movies! Would love to see this movie. I love to read to my little grandson, and these books would be great. I 'like' Better With a Book on facebook. My kids are really enjoying the trailers on TV! Thank you so much my grandkids would think I was the most awesome granny ever if I gave them this! I follow you on twitter @dianas58. My 4 kids love Ice Age and books so this would be a great combo for them.Thanks! I would love to win this for my two little grandsons. Ice Age movies are so great since there's adventure and comedy. My kids love Ice Age, thanks for the give away. Cant' wait to see this, we love Sid! I'll be taking my grandchildren to the theater to watch Ice Age next week. I cant wait to take my grandson to see it!!! Thanks for the giveaway. My nephew would love these! Count me in for today's entry.... still looking forward to seeing this! Hopefully we can see this next weekend! I love Ice Age! My kids absolutely love the ice age movies. We're very excited to see the new movie! My girls would love this - hope we win! Excited to see the movie! I follow you on Twitter, tweeted about the giveaway and retweeted your reminder! I also like Better With a Book on Facebook! I love these movies. They are so perfect to watch as a family.